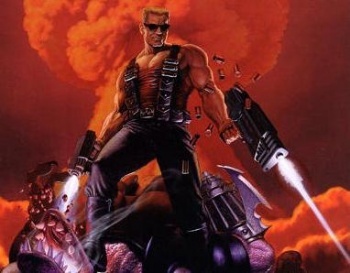 Gearbox will be showing off Duke Nukem Forever at Yahtzee's Mana Bar this week. There has never been a better time to take a vacation to Australia. Not only is Yahtzee's Mana Bar a high class establishment where you can have a few drinks and play videogames, but now Gearbox is going to show off Duke Nukem Forever at the watering hole for the very first time in Australia. The Mana Bar is located in Brisbane and opened earlier this year. It was said the bar would be holding special videogame events, and it has been, but this might be the biggest yet. Gearbox first revealed that it had taken over and was actually releasing Duke Nukem Forever at the Penny Arcade Expo 2010 after years and years of the game being stuck in the muck. Not only was the game announced, but it was also playable. This week, Australians will get their first crack at the latest game to feature the Duke when Gearbox brings Duke Nukem Forever to the Mana Bar on October 16. It'll be playable by anyone on five screens from midday to midnight. There will also be 2K Games prize packs given away, and Yahtzee himself is going to host a Q&A with Gearbox top dog Randy Pitchford. If you couldn't make it to PAX, and you don't live in Australia, the next chance for you to play Duke Nukem Forever might not be until the demo comes out. The concept of the Mana Bar was announced to be expanding through Australia and internationally in August, but it's not happening nearly fast enough. With events like this, I need one in my local town now.